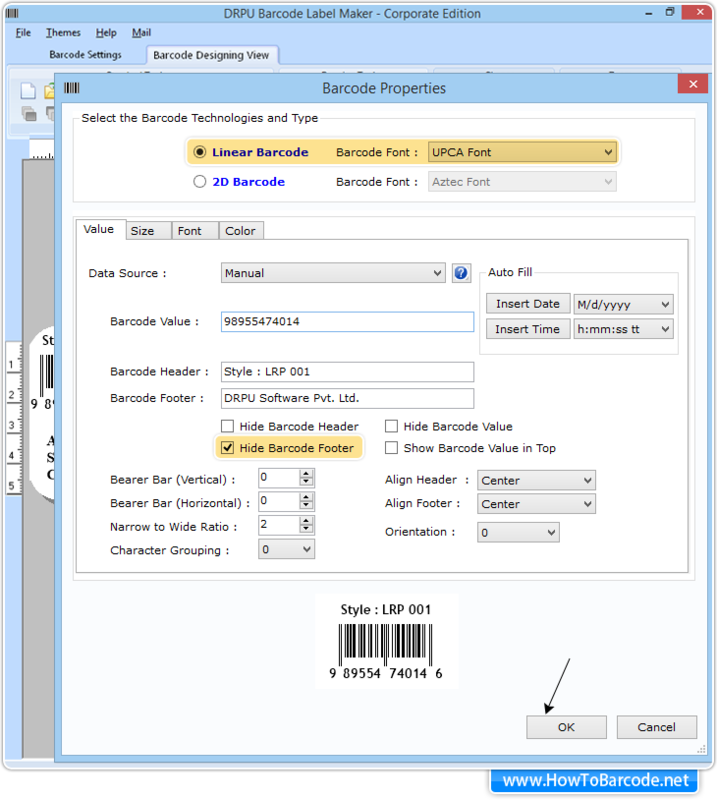 Click on Barcode Designing View tab of the software and follow few simple steps to design multiple barcodes on same label. 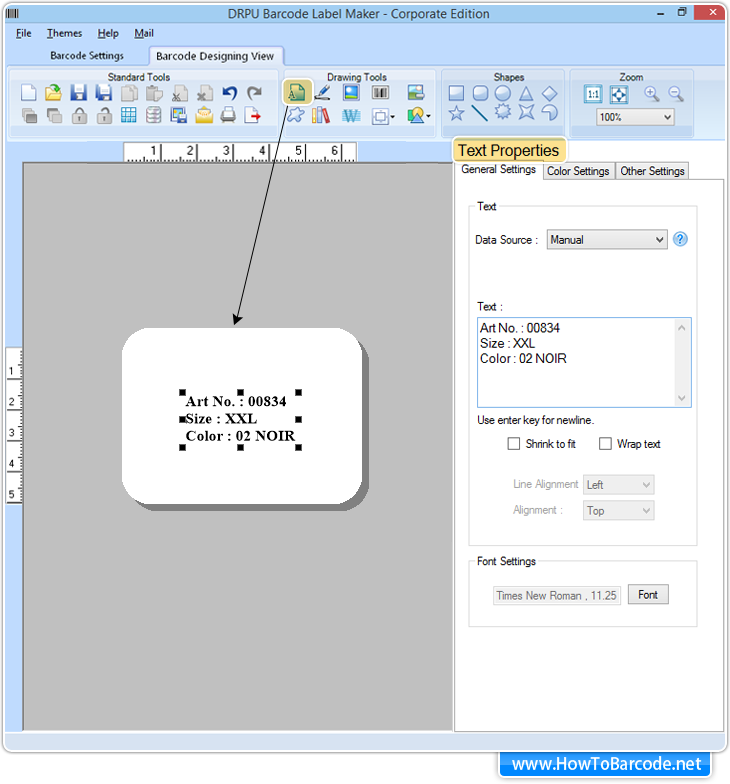 If you want to add text on your label, go to text icon from drawing tools as shown in above figure. Click on text to edit its properties. 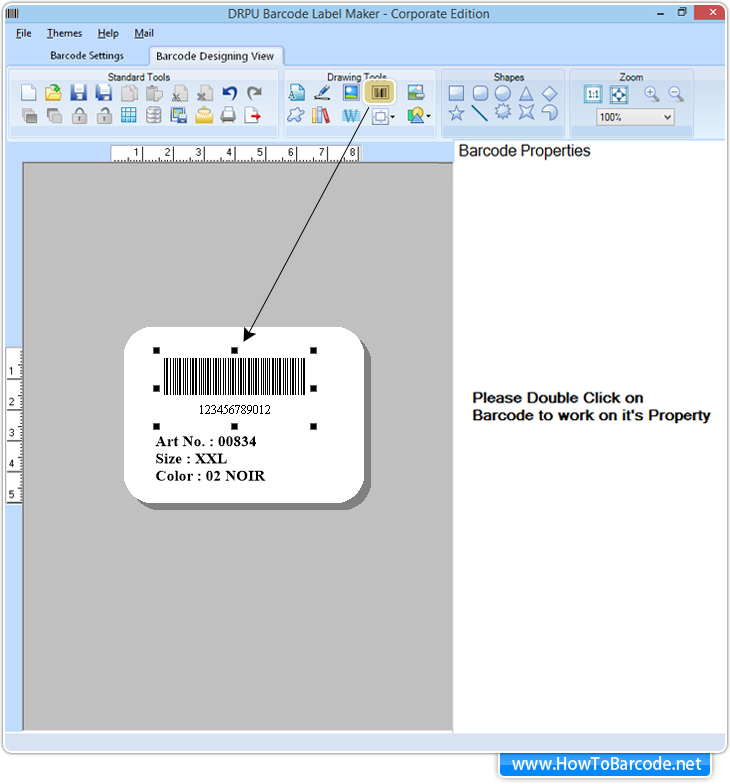 To insert barcode on label, simply click on barcode icon as shown in above screen. 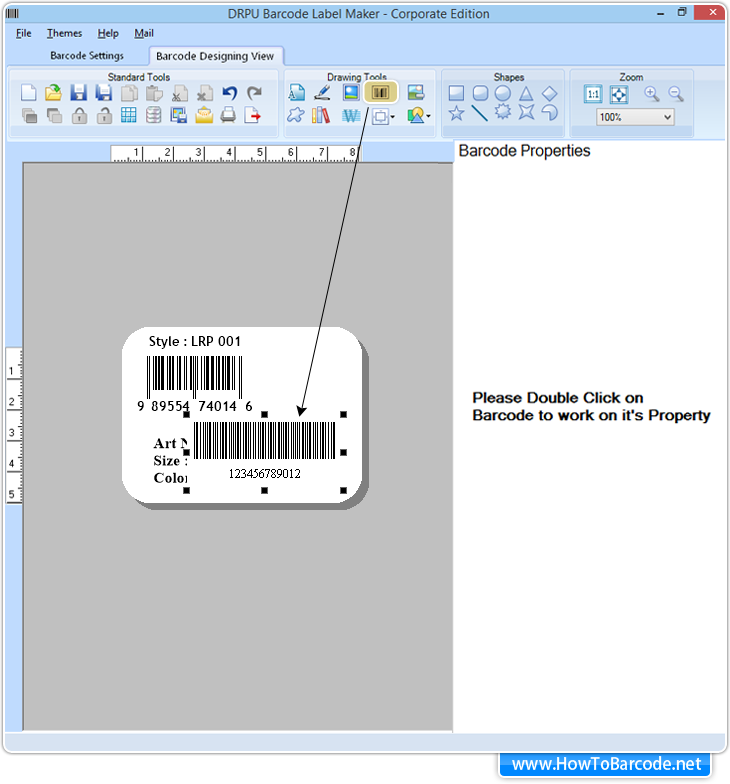 To edit barcode properties, double click on inserted barcode. Select barcode technologies, font type, set barcode value, header, footer and other attributes as per your requirement. Click ‘Ok’ to continue. In the same manner, you can add multiple barcodes on same label. Click on barcode icon to add barcode on your label. Double click on inserted barcode to change its default settings. 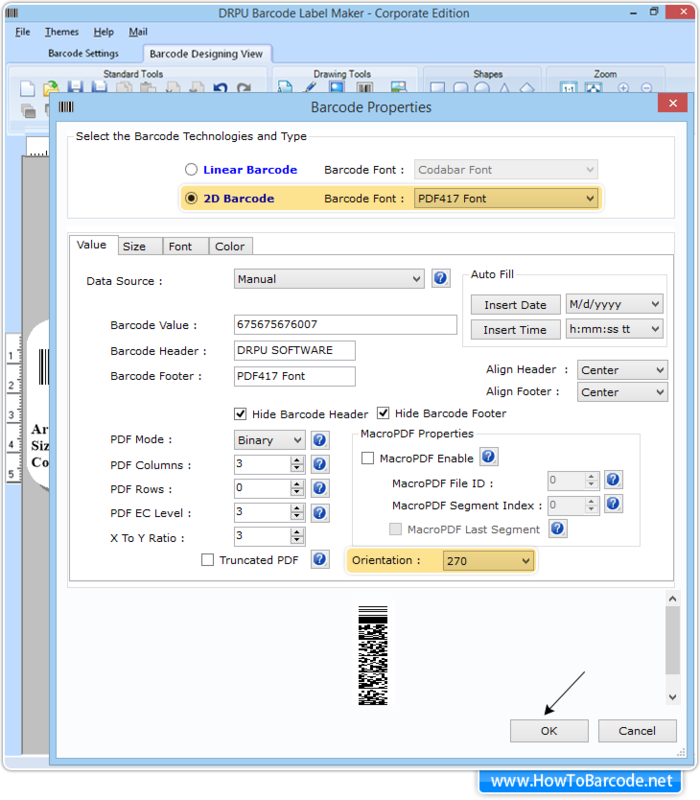 Choose barcode technology along with its font type (PDF417 barcode Font), set barcode value, header, footer etc. You can change orientation by setting its angle (for eg: 270). To add text, click on text icon from toolbar. To change default text value as well as its properties, click on inserted text. You can also change orientation of the text by clicking on 'other settings' option shown at right side of software. 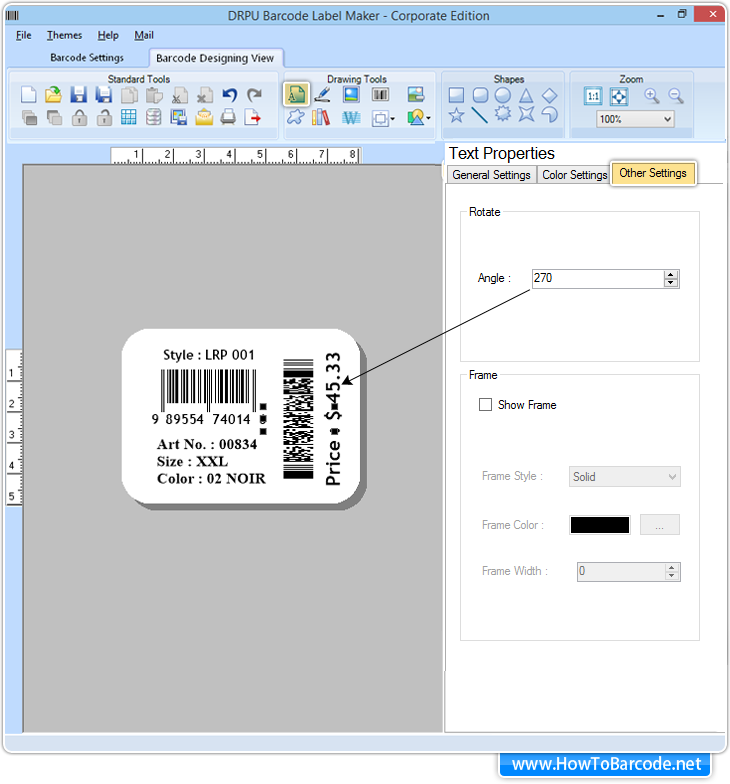 After completing your designing process, you can print your label on roll/sheet as well as save barcode logs for future use. ➨ Learn how to design Barcode Using Barcode Settings. ➨ Watch procedure to Create Barcode Using Barcode Designing View. 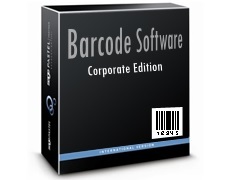 ➨ Click here to know how to E-mail Barcodes via Barcode Label Maker Software.